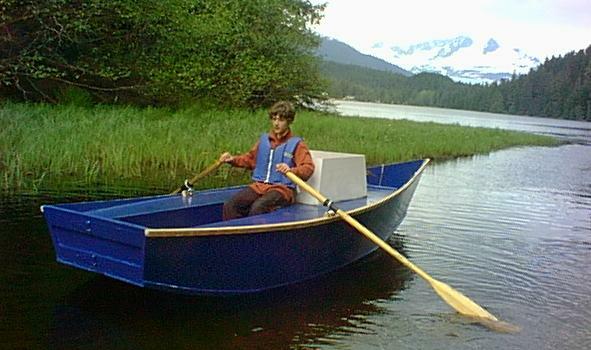 This rugged Phil Bolger designed 16 foot sailboat is under construction in Juneau, Alaska as part of an 8th grade student's "ROPES" project at Dzantik'i Heeni Middle School. 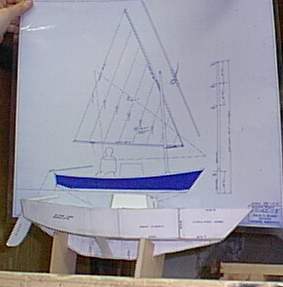 When Tim corresponded with naval architect Phil Bolger about his design choice, Bolger initially recommended his "Camper" design. Tim stuck with the outboard auxiliary power of Storm Petrel, and Bolger included a new, larger balanced lugsail sketch with the plans, to liven up performance in light air. Storm Petrel is Bolger's design #337, originally published in "Different Boats".